Time for a little throwback! 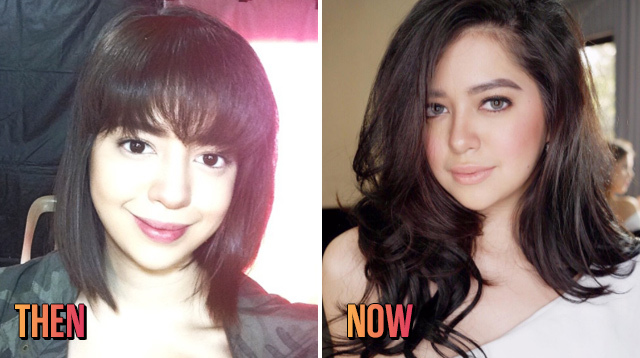 Sue Ramirez's jet black hair is as well-known as her fair skin and bubbly personality. And just like her style, her tresses have gone through major changes. To see her hairstyles through the years, read on as we go through various looks she's worn. At 16 years old, Sue experimented with different hair accessories to match her moods. In the one below, she can be seen wearing a beanie with her dark hair, adorably looking like every teenager from the '00s. But as you can see here, she wasn't afraid of color too, trading her beanie for a girly cap. By the time she was 17, her hair accessories still showed up a few times, but it was her long, mermaid-esque hair that took center stage. Having lengthy tresses meant she could try on different 'dos; we love that she wasn't afraid to experiment! Once she grew tired of the length of her hair, Sue did what every girl would have done: She cut it. But it wasn't just any cut, the change in length gave her more freedom to try edgier looks. Even when worn au naturel, it looked amazing. By 2016, she lightened the color of her tresses through blonde highlights and a rich chocolate hue as her base. The flipped ends emphasized the color even more. With her ombré look, the smooth transition from black to blonde is definitely #hairgoals. Now that she's back to black and loyal to her lob, Sue still tries to change up her hairstyles with various extensions. Who can blame her? She looks beautiful donning any length or color!